Robby car Arduino controlled | PIELTJE! On an old chassis of a Robby RP5 I build an Arduino Uno with some electronics around. 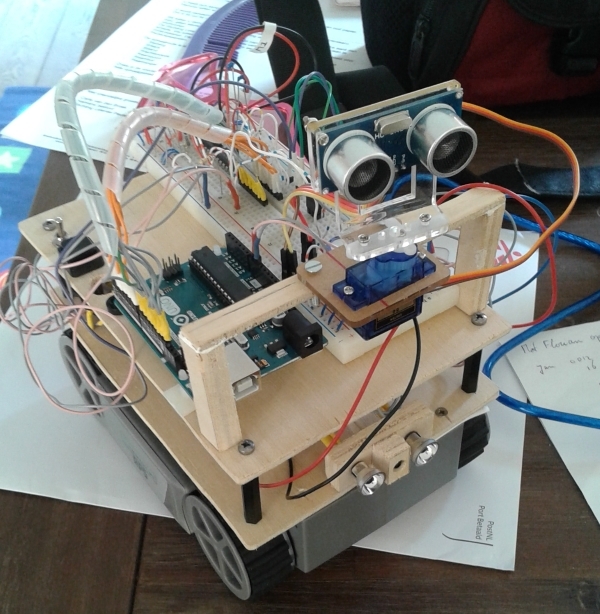 With an ultrasonic and IR sensor the robot is discovering the room.